Stora Hotellet in Osby was built in 1936 and had seen the peak of its glory when we made the risky decision to privately purchase the building in 2011 and renovate it to a standard that our local area deserves. In 2012, we also took over the operation of both the hotel and the restaurant. Our goal and desire is a really good hotel and restaurant that we and everyone in Osby can be proud of. Our objective is to create beautifully prepared dishes from amazing ingredients and of course a lot of love and care. 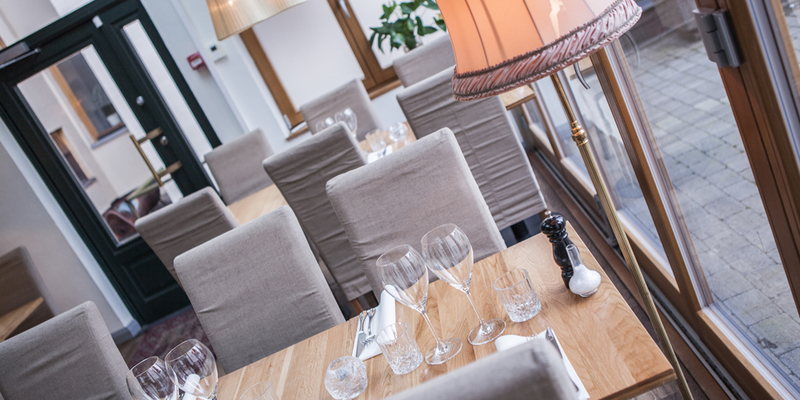 We put the same energy and love into making lunch as we do into the evening’s a la carte menu. “High standard!” was a song that Peps Persson, a celebrity from Göinge who still lives in the area, used to sing. 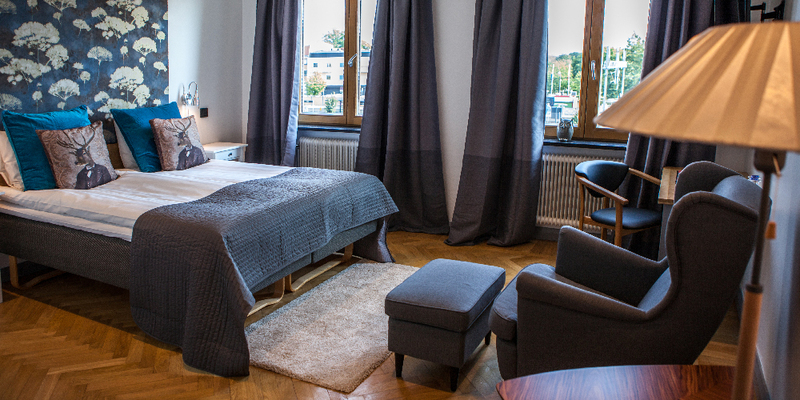 Quality is a keyword we have kept in mind as the foundation for everything we have done during the renovation of Stora Hotellet in Osby. Want to give away an exclusive dinner or a hotel night in Osby? 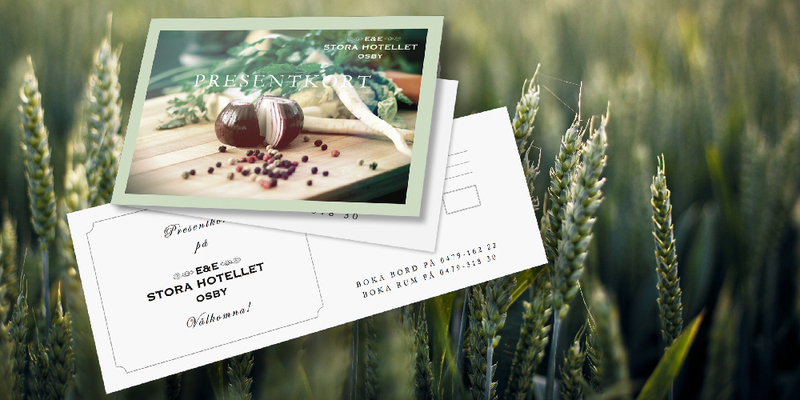 You can choose the value of your Stora Hotellet gift vouchers. 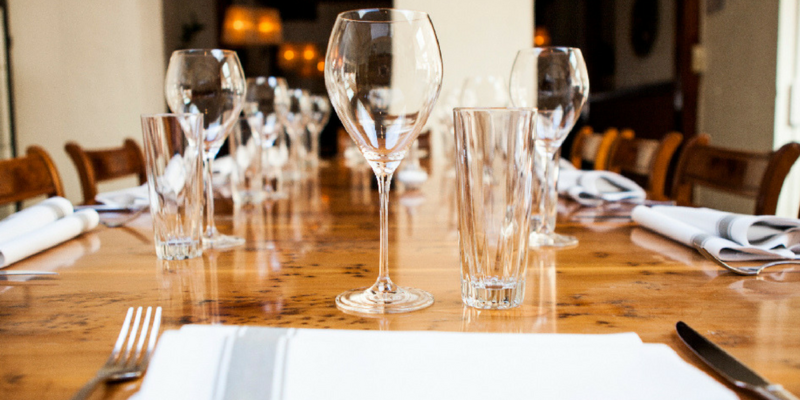 The goal is to create a relaxed and educational forum within which to meet people over food and drinks! 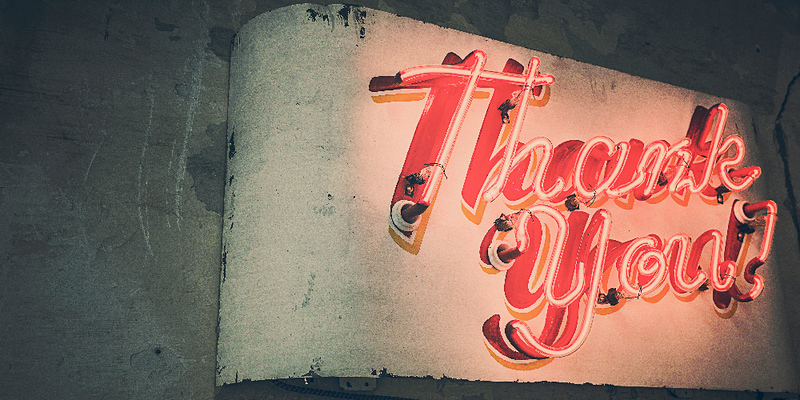 Take advantage of our bonus system when booking hotel rooms for a friend! We have 40 newly renovated rooms with comfortable beds. Be sure to book a room for the in-laws when they come for a visit, or why not treat yourself to a weekend at extra great prices!